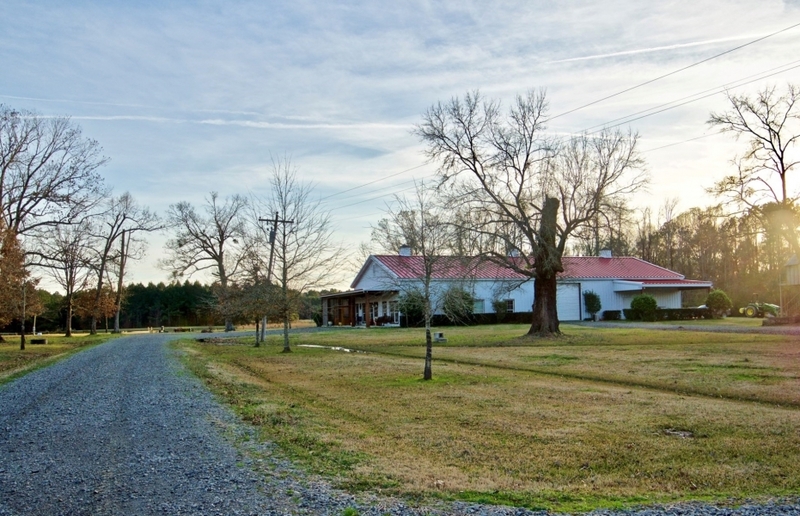 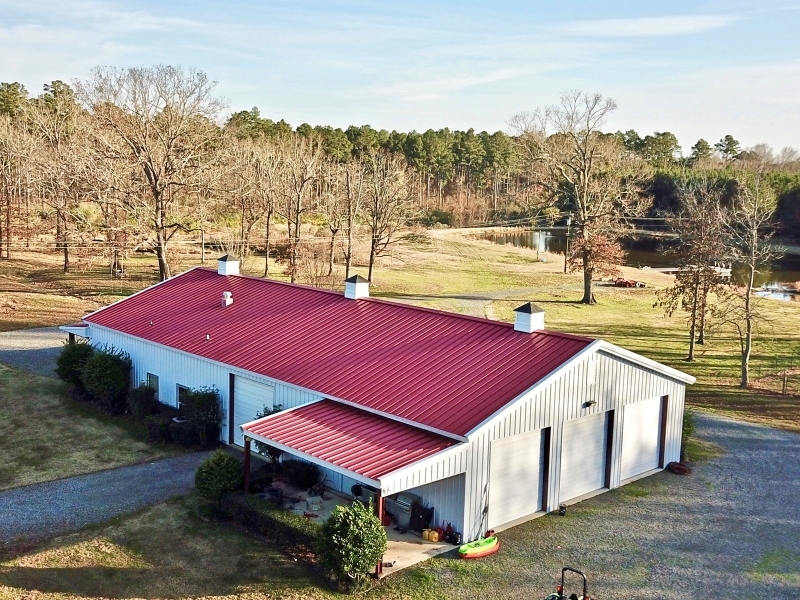 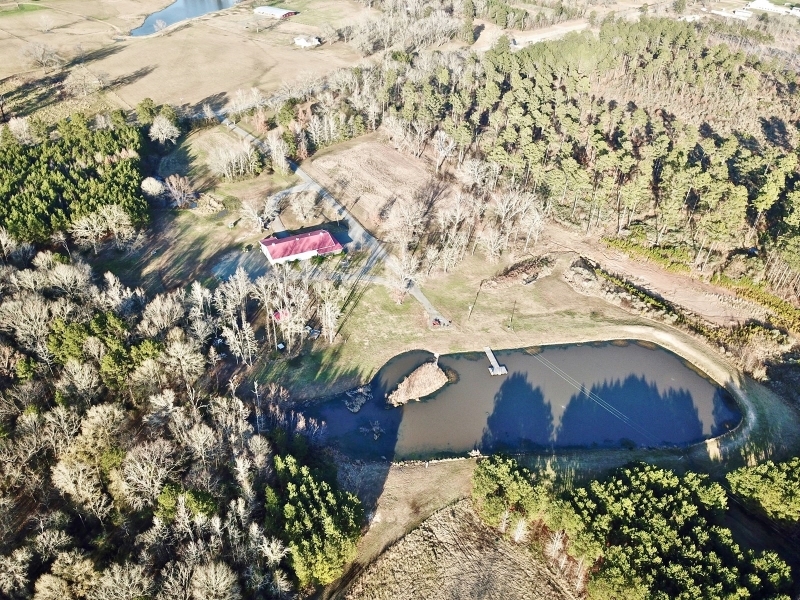 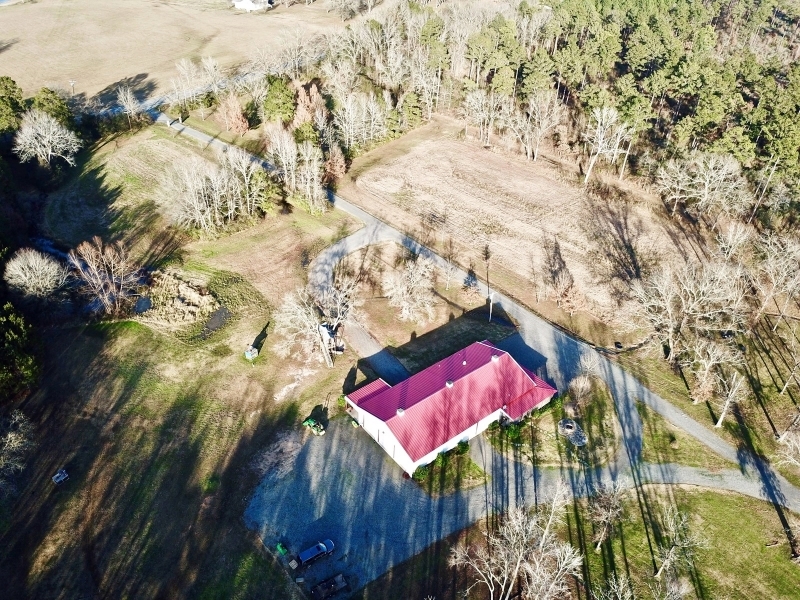 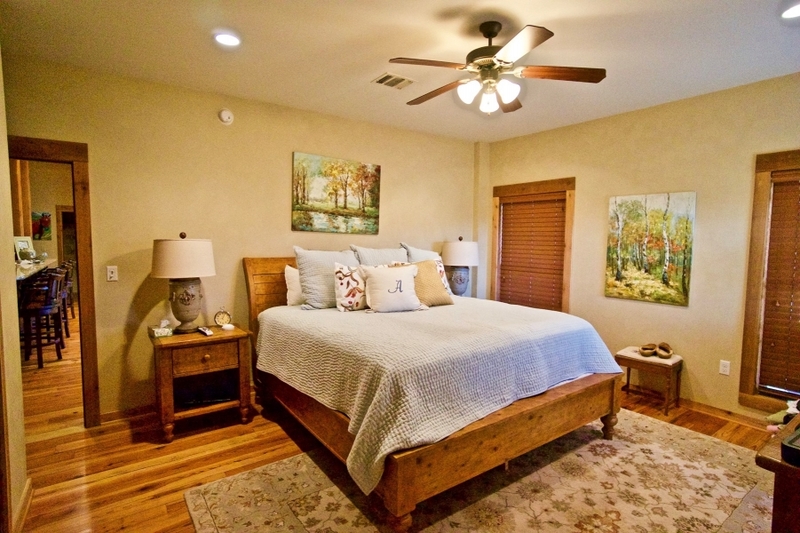 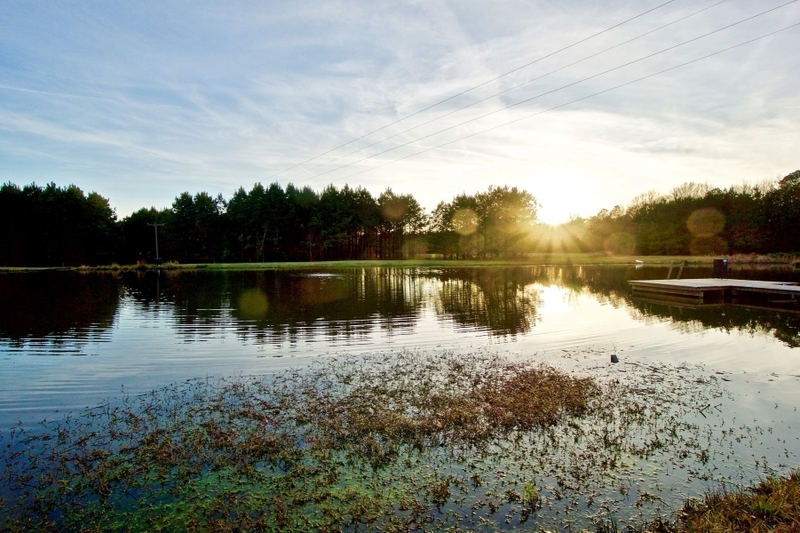 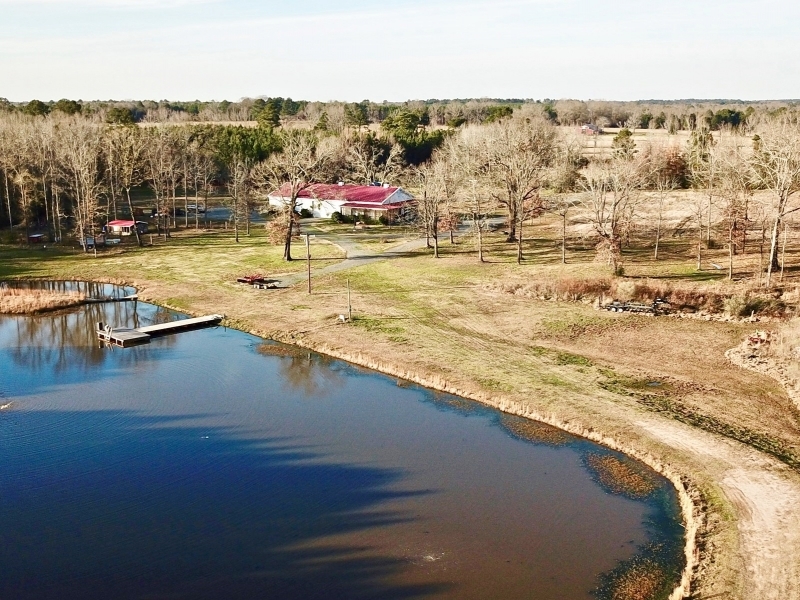 Hiccup Ranch is located at 4343 Hwy 175 in Frierson, LA. 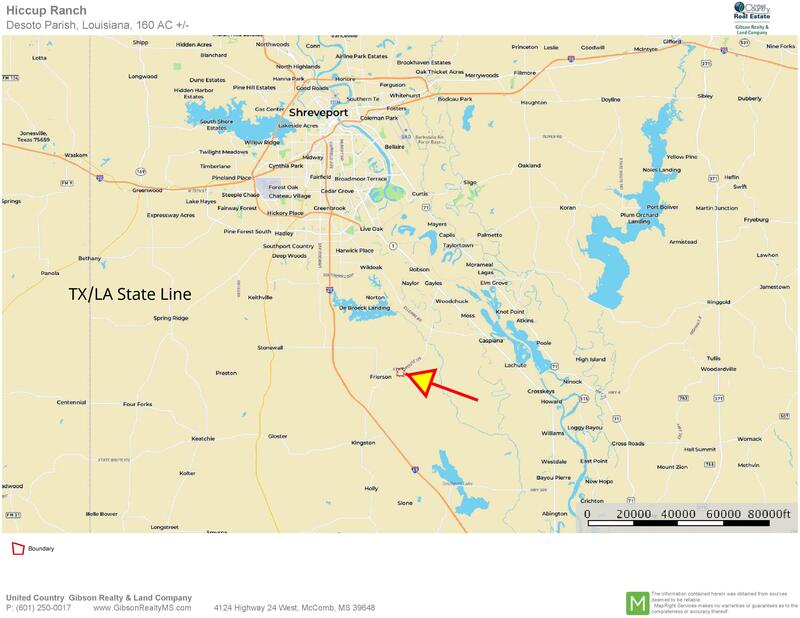 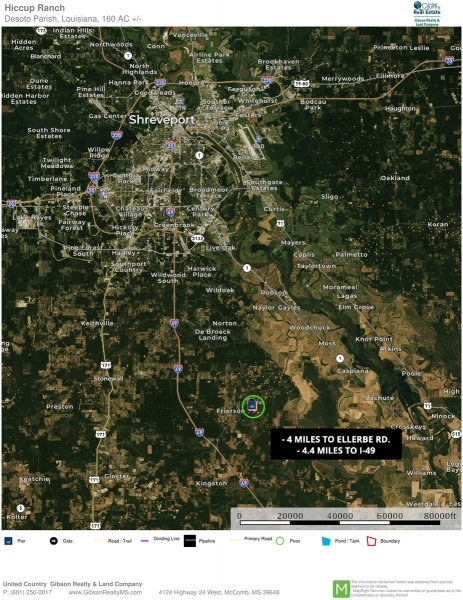 The electric front gate is located just 4.4 miles east of I-49 and 4 miles west of Ellerbe Rd. 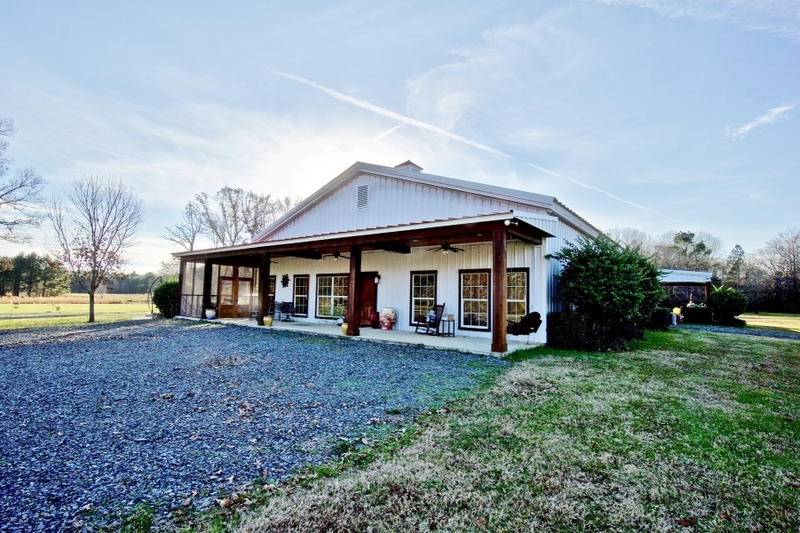 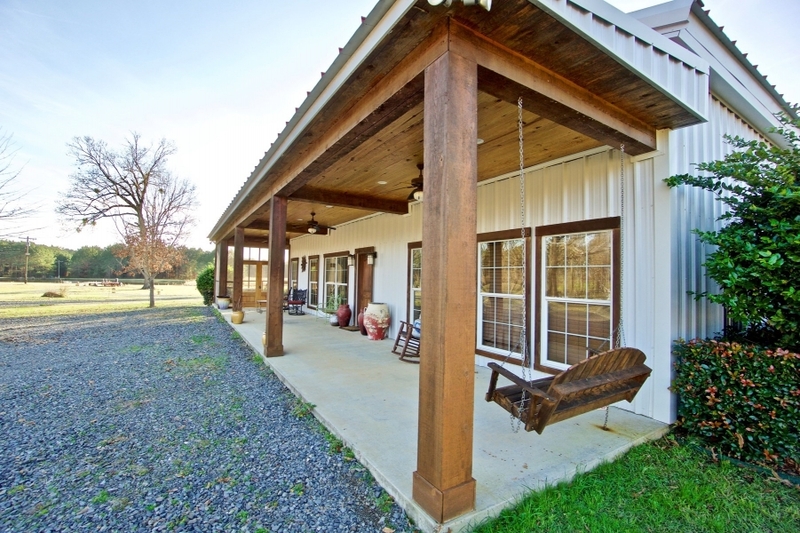 As you enter the property, you are quickly greeted by a 5000' custom built Barndominium. 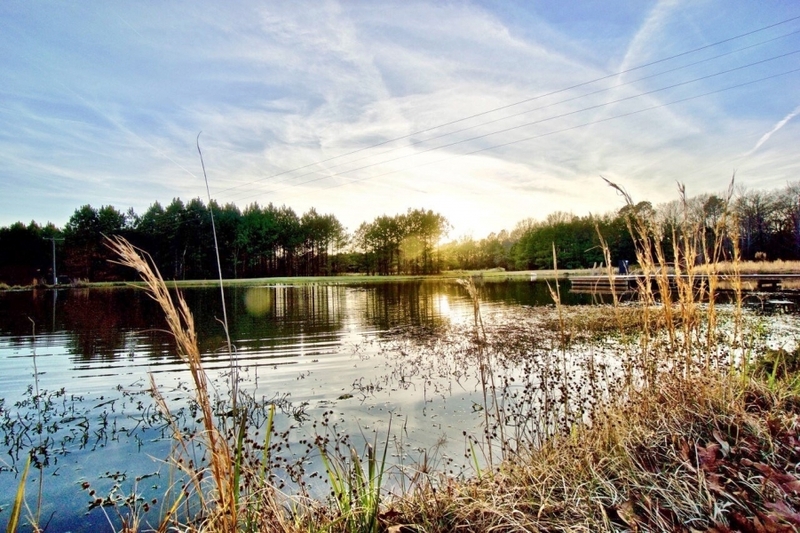 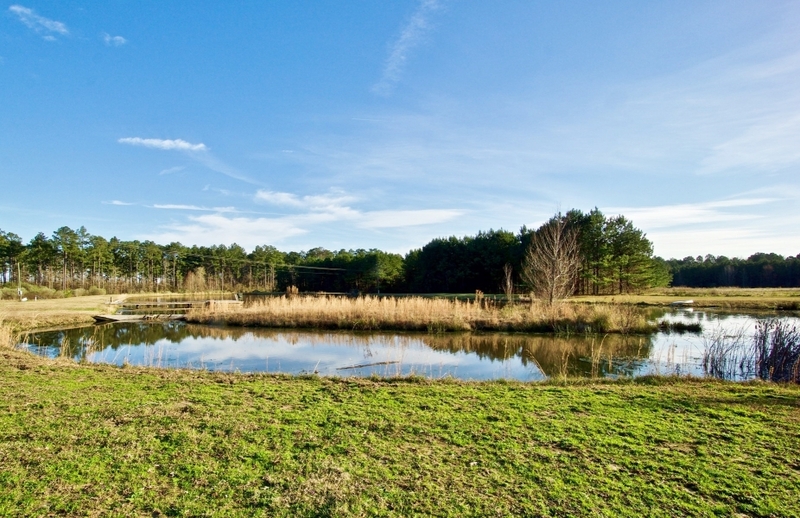 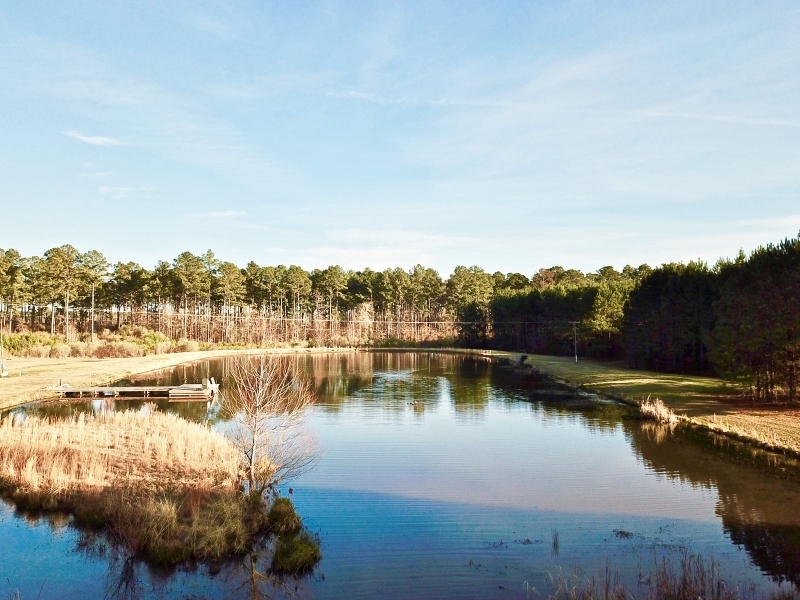 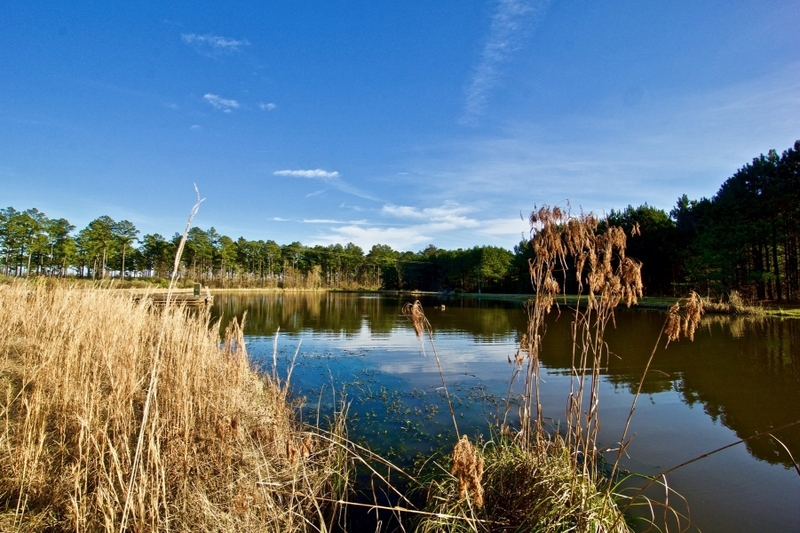 Just off the backyard is a 2 acre highly managed trophy fishing lake with both bass and bream. 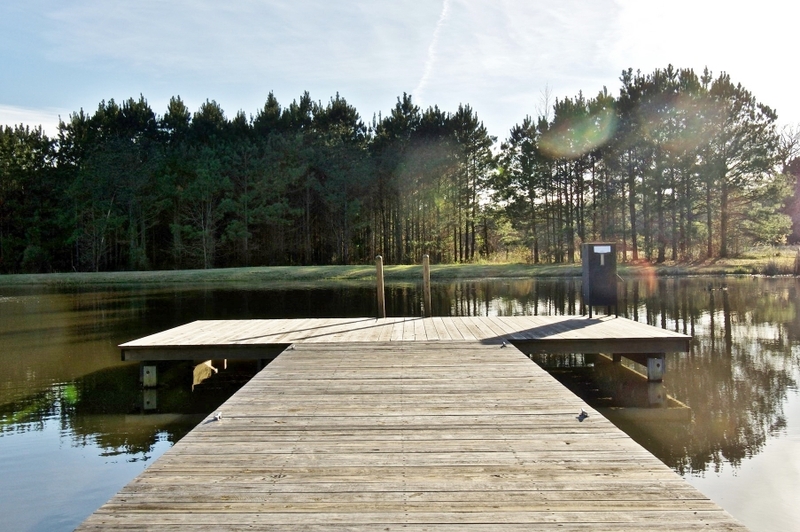 This lake has a pier with 2 fish feeders, 3 aerators and a water well to maintain the level perfectly. 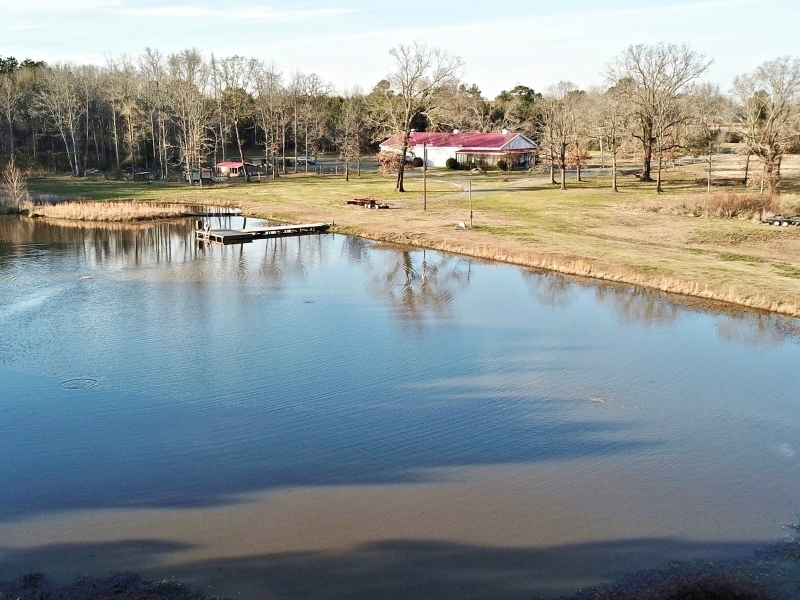 A professional pond management company has always maintained the pond, and recently stocked an 11 lb. 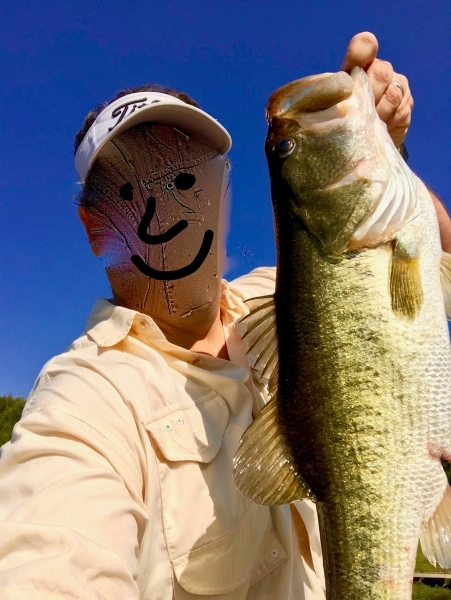 bass! 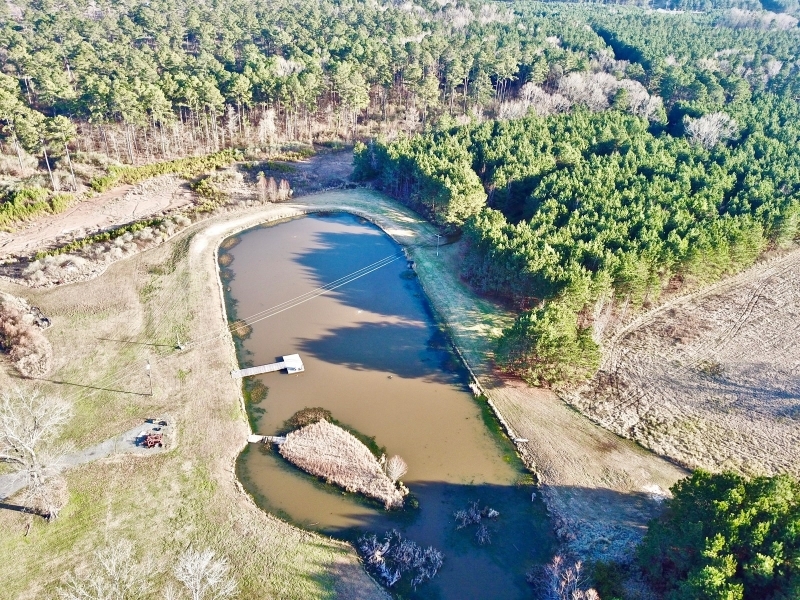 The pond could easily be expanded to 6-8 acres in the already cleared and excavated area behind the dam. 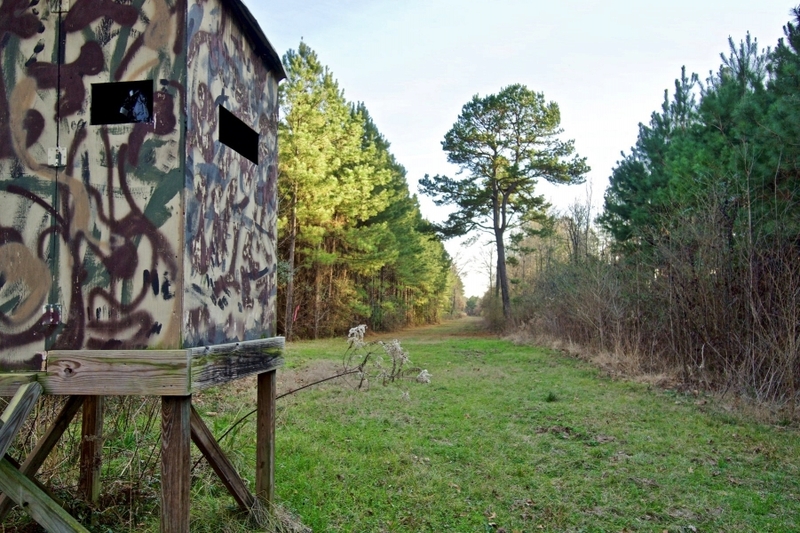 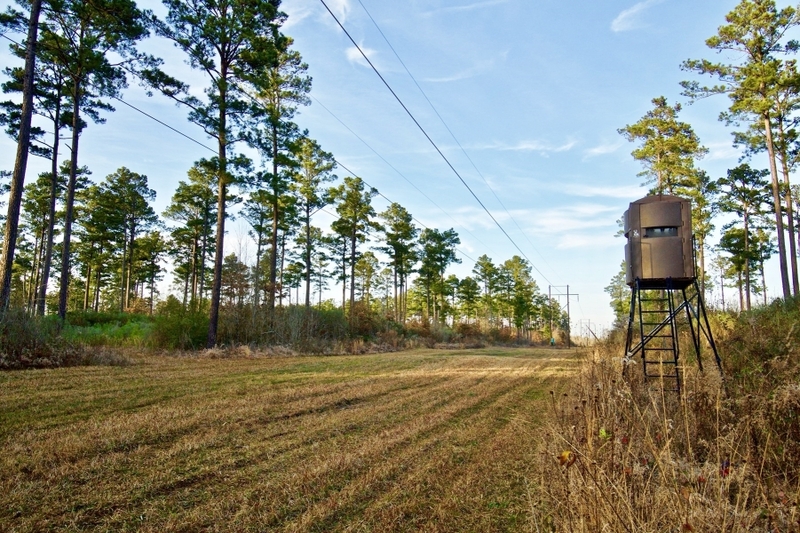 LAND- Hiccup Ranch is made up of 160+/- acres of diverse timber stands and clearings. 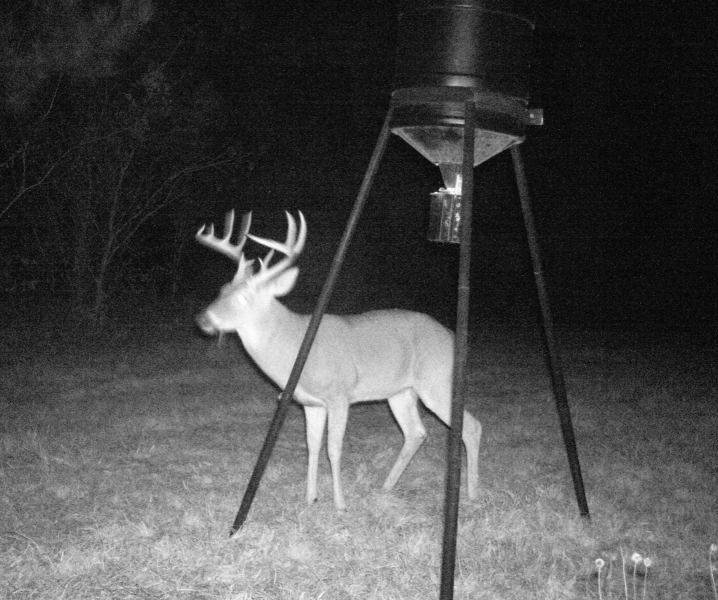 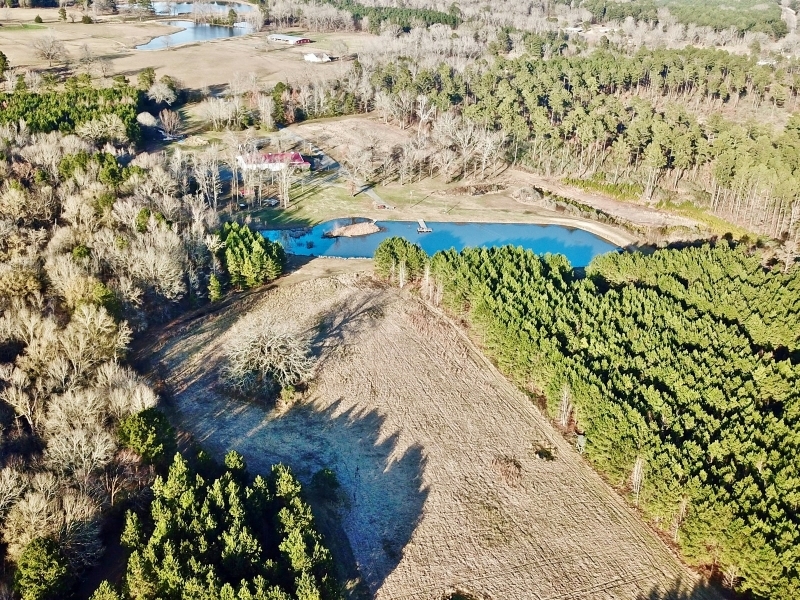 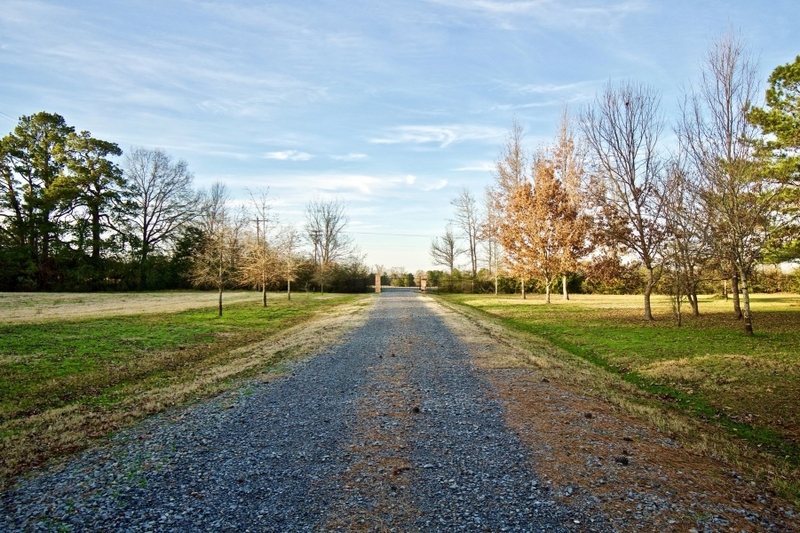 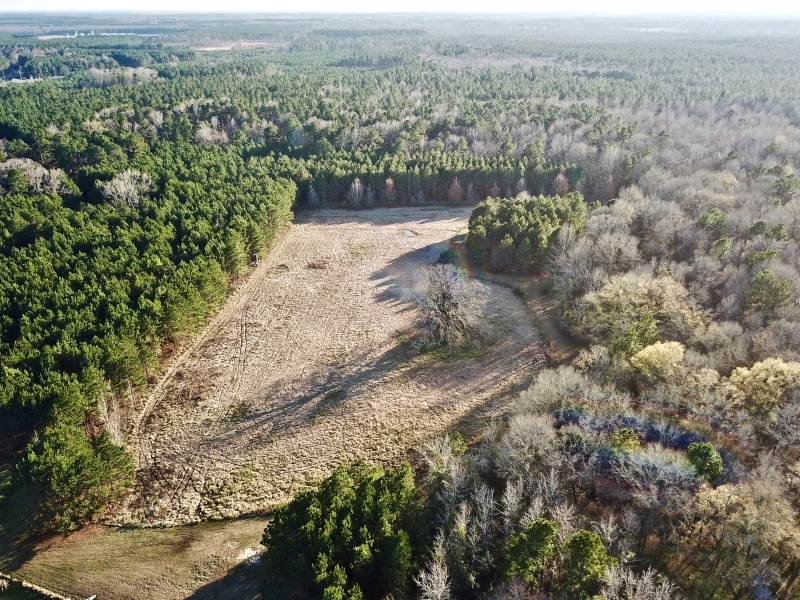 The western 80+ acres is primarily mature hardwoods with a few smaller sections of un-thinned pine plantations with an interior field that could be planted in a crop or wildlife plot. 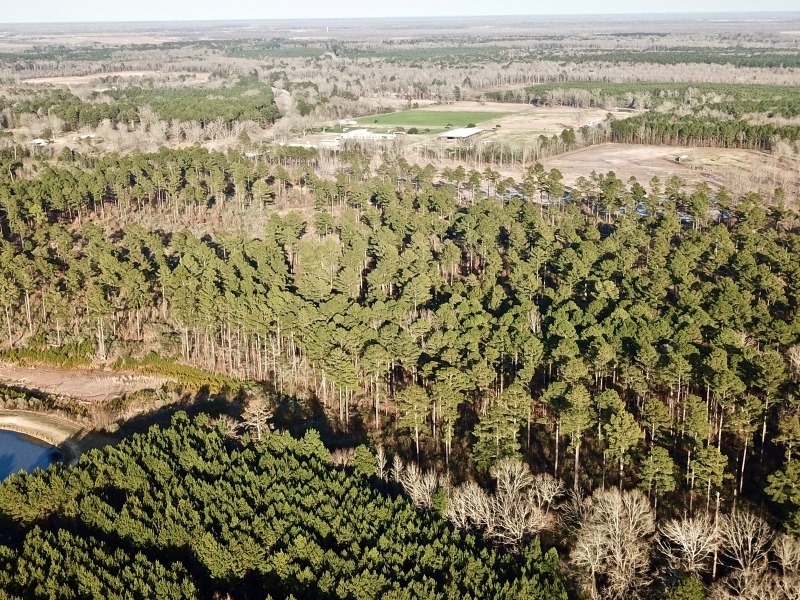 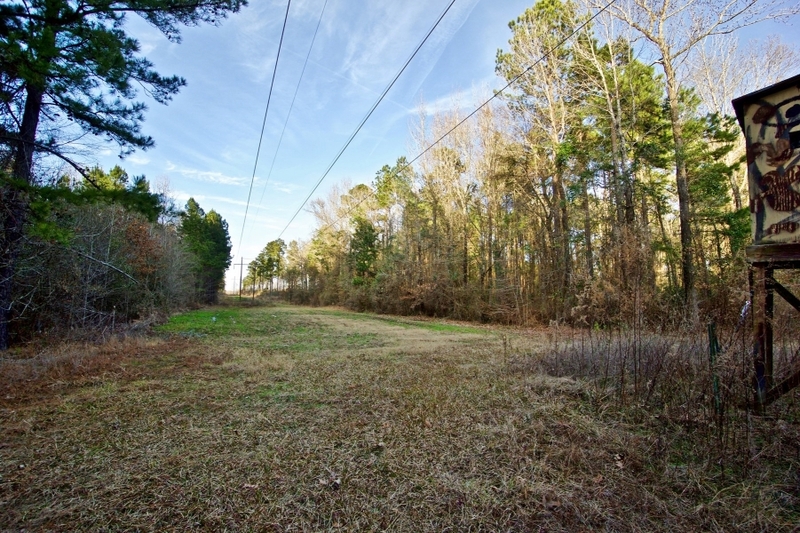 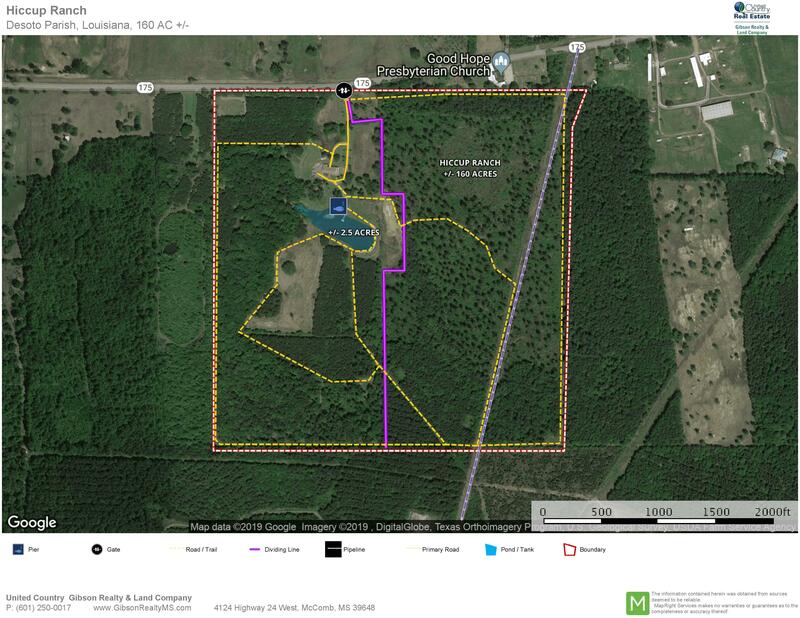 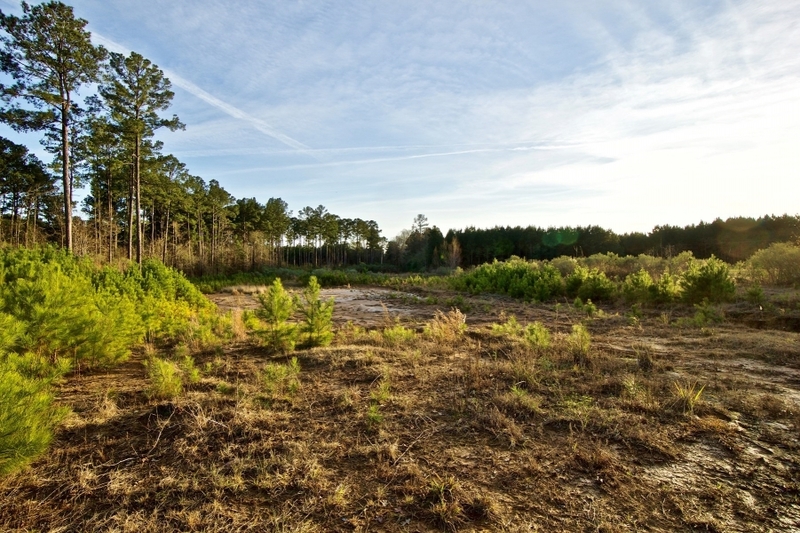 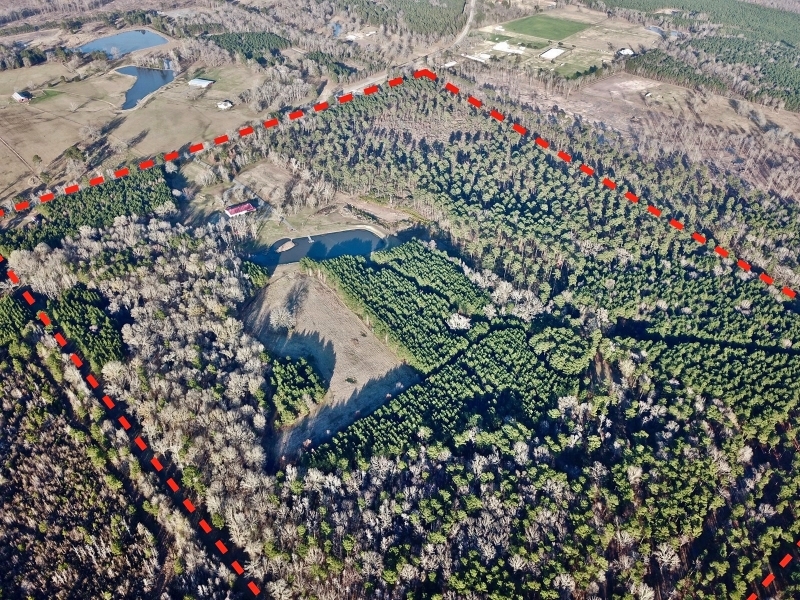 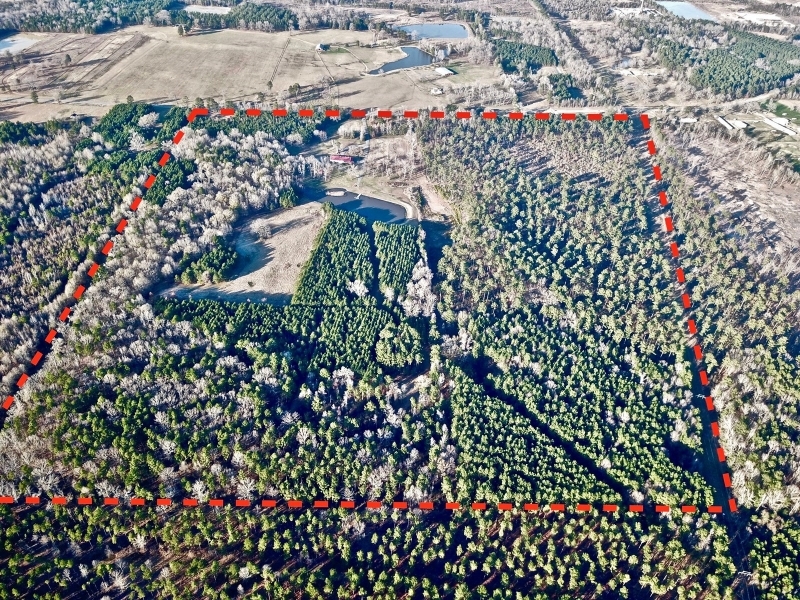 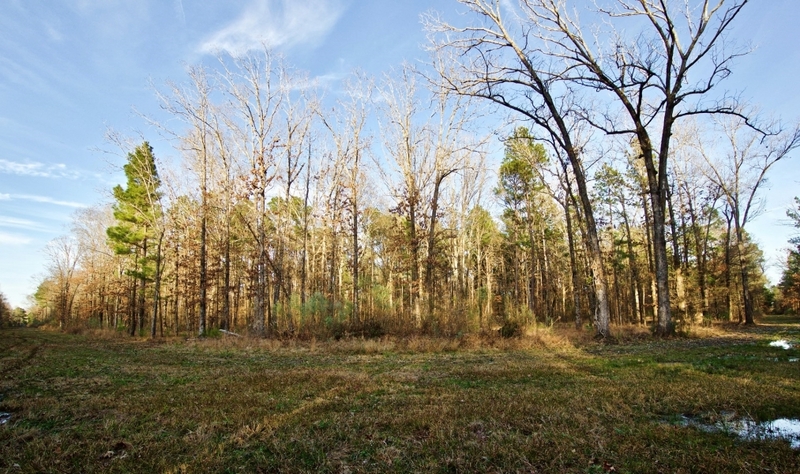 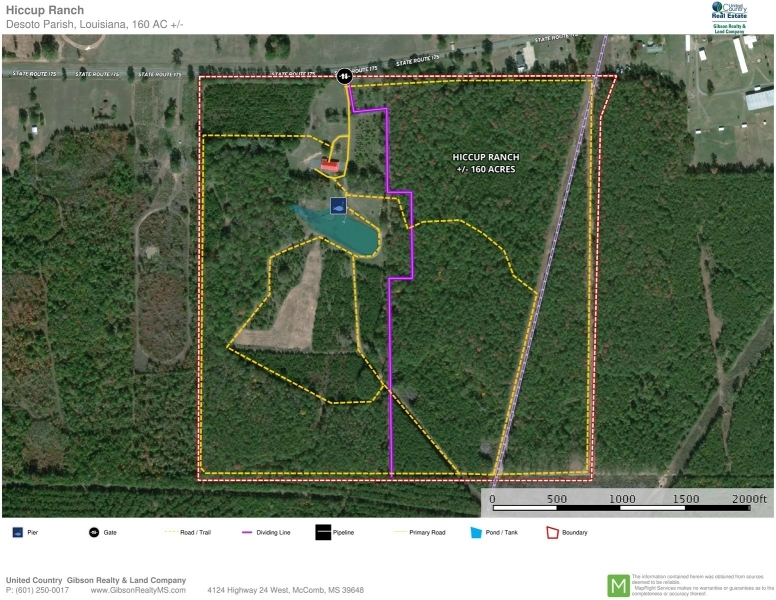 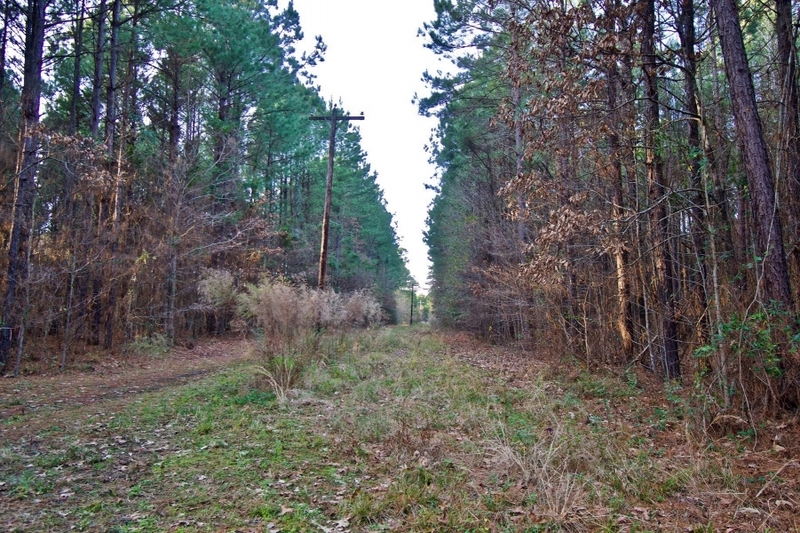 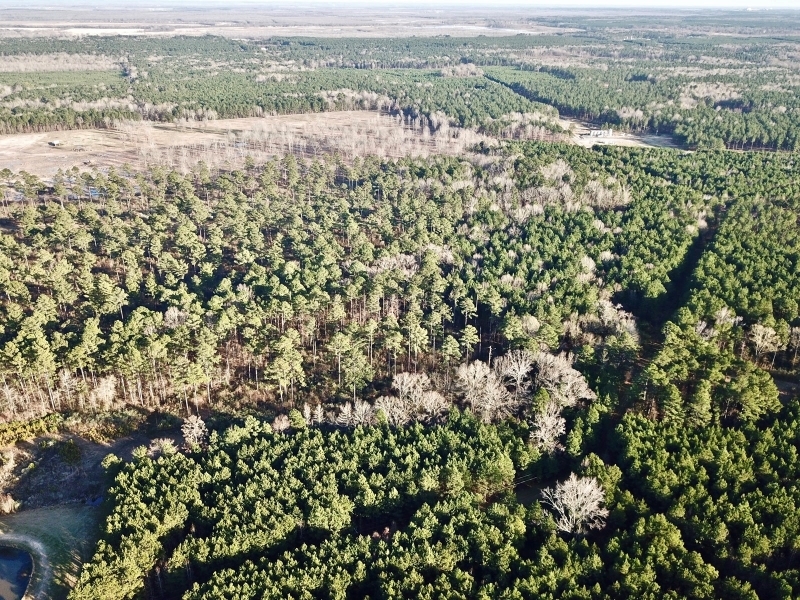 On the eastern side of the property, there is 50+ acres of mature loblolly pines with a hardwood drain and a small portion of thinned pine plantation. 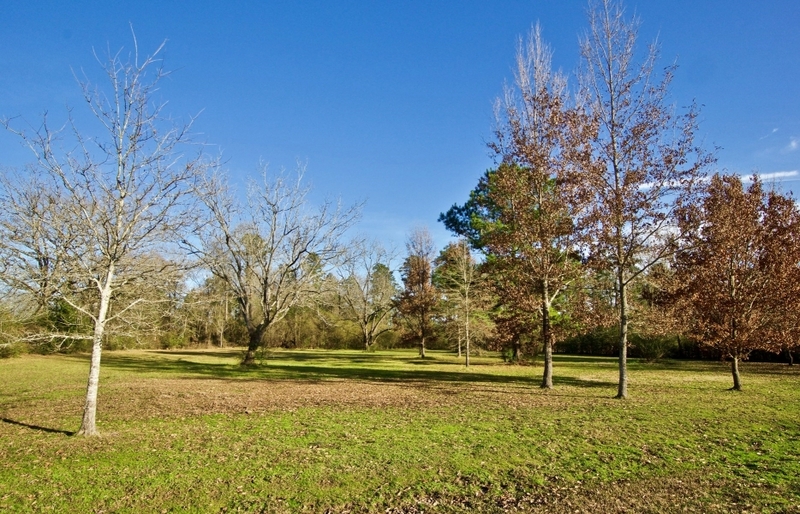 About 70% of the property has perimeter fencing with the remainder in a cleared right-of-way, should a new buyer want to completely fence the property. 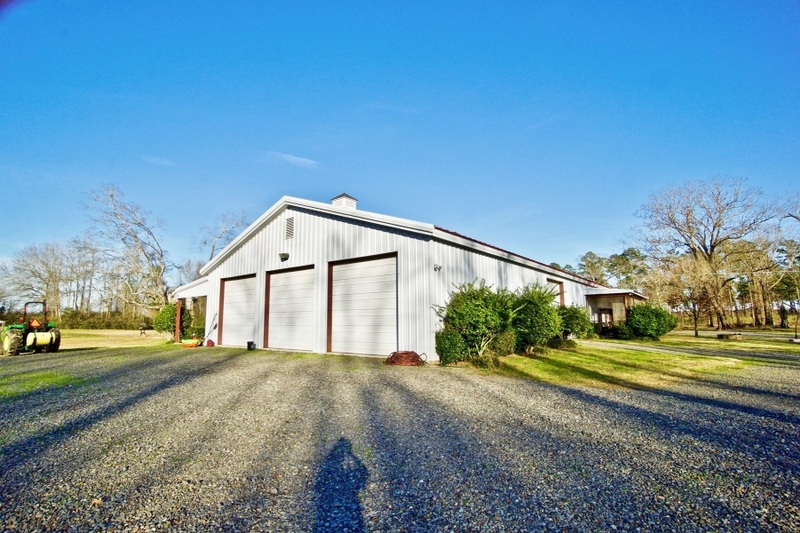 IMPROVEMENTS- The 50' x 100' barn was built in 2009. 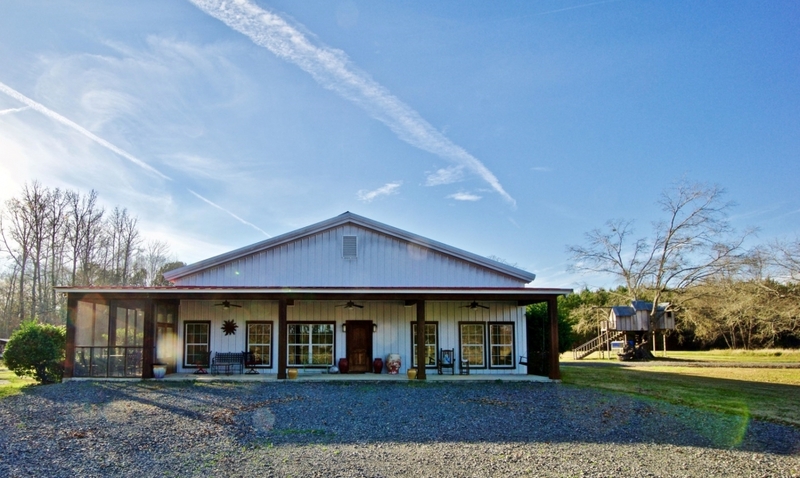 The front 50' x 50' has been finished out with custom materials to a 4 bedroom 3.5 bath home. 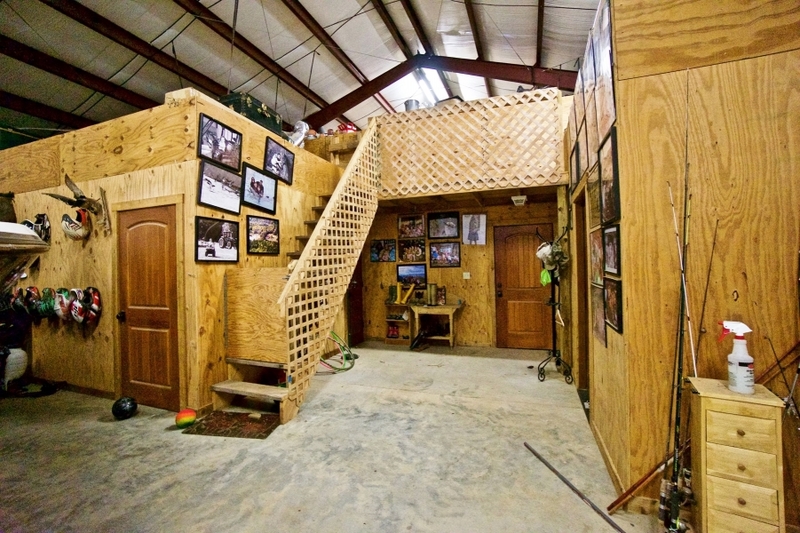 No expenses were spared during construction, which is evident as you walk through the front door. 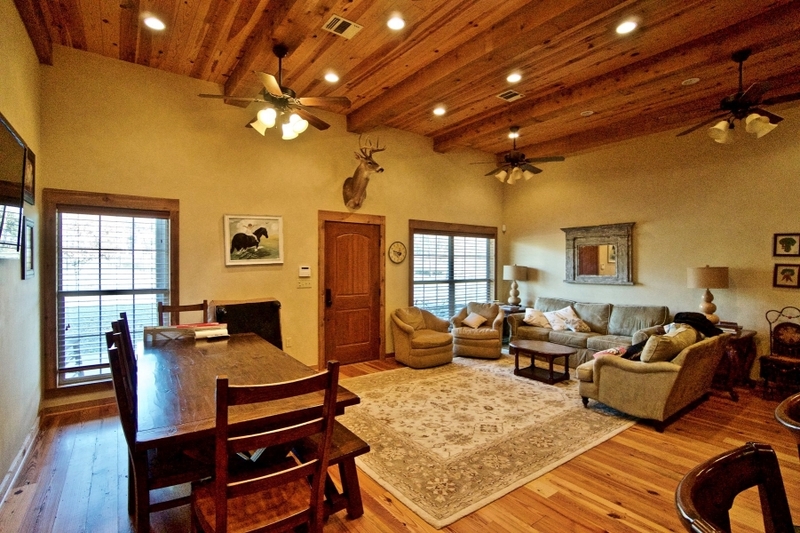 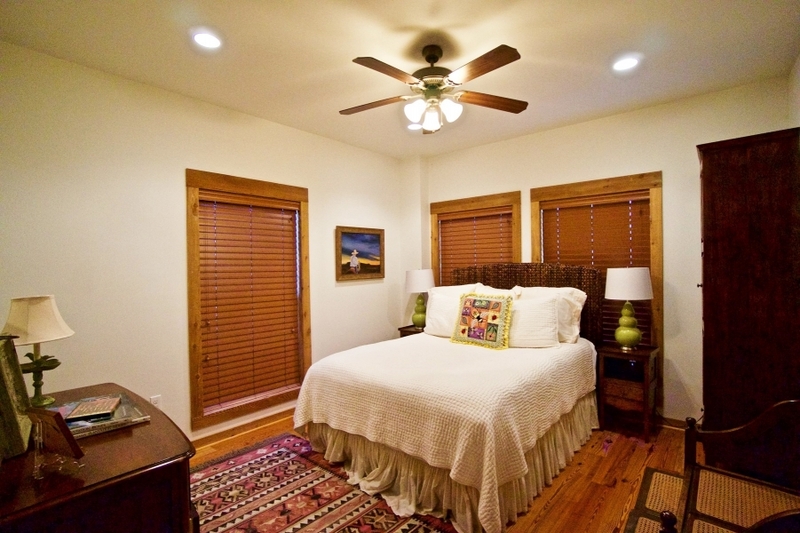 Heartpine wood floors run through out with high wood ceilings and exposed beams in the family area. 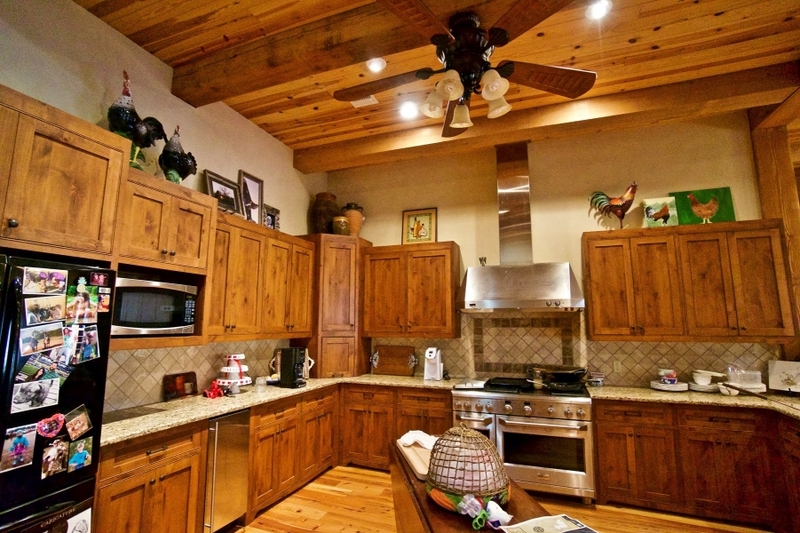 The kitchen is equipped with a commercial gas range, granite countertops, custom stained cabinetry, ice maker and more. 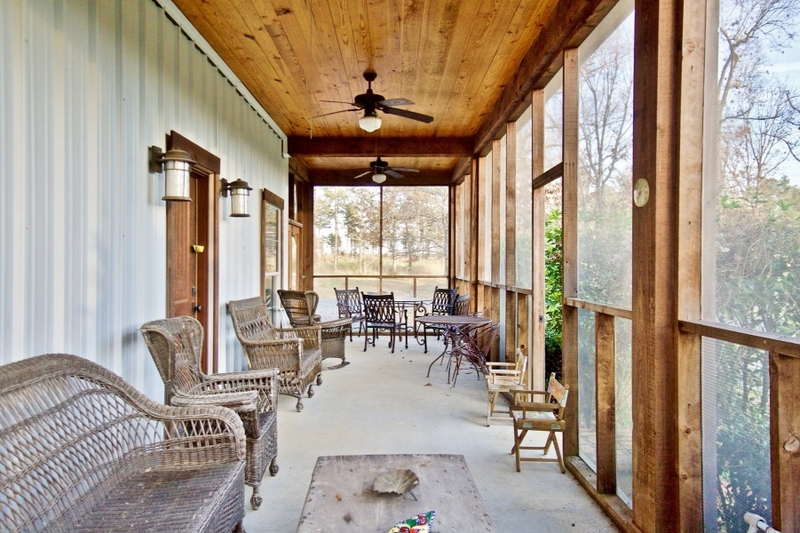 Large master has access out to the screened in porch with a large wash room just off the master bath. 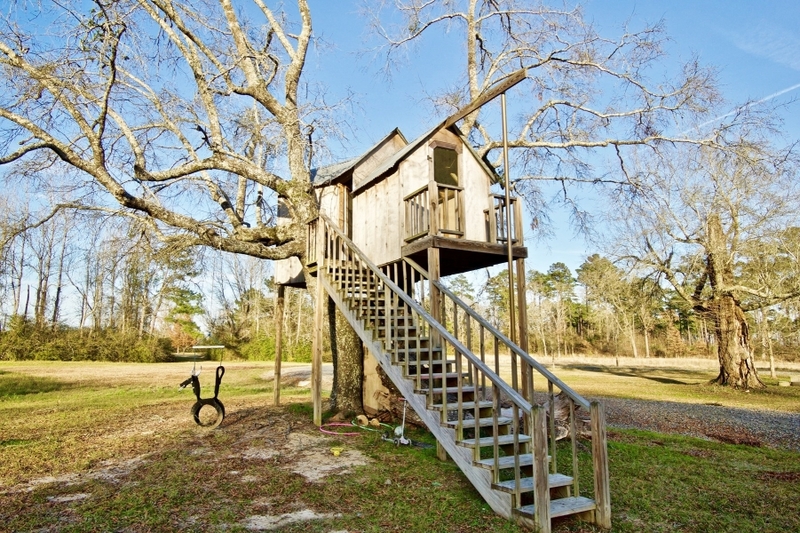 On the opposite side of the house is 2 more bedrooms and a bunk room with 2 full baths to make up the perfectly laid out living space. 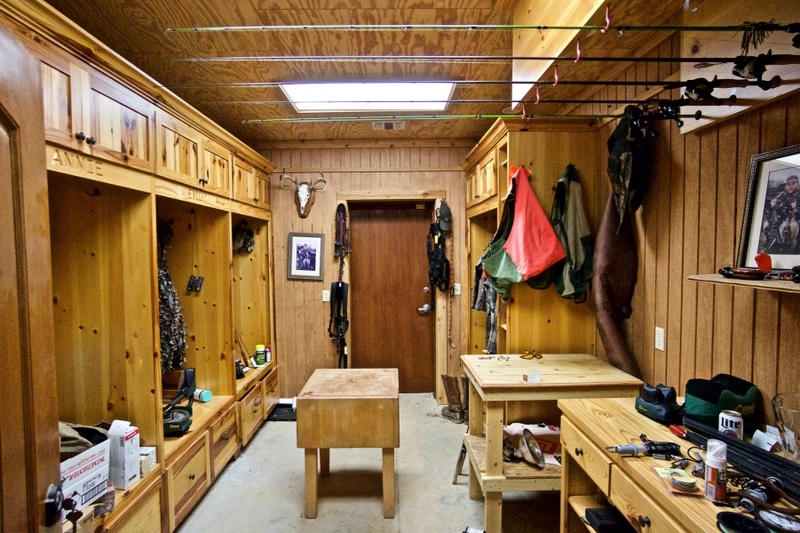 As you enter out the back door into the storage area, you also have an additional half bath and a hunting room equipped with custom wood lockers, cabinets, gun cleaning table and custom rod racks. 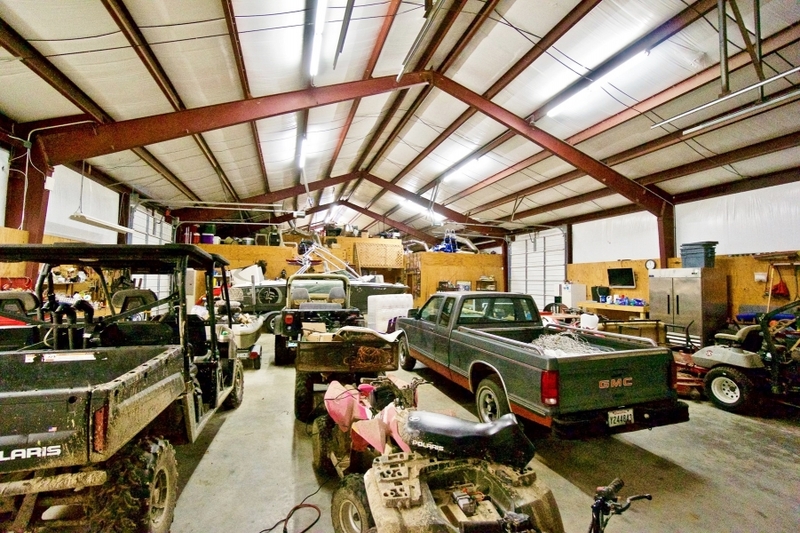 The barn area has 5 bay doors to bring in all your vehicles, tractors, boats, ATVs, etc. 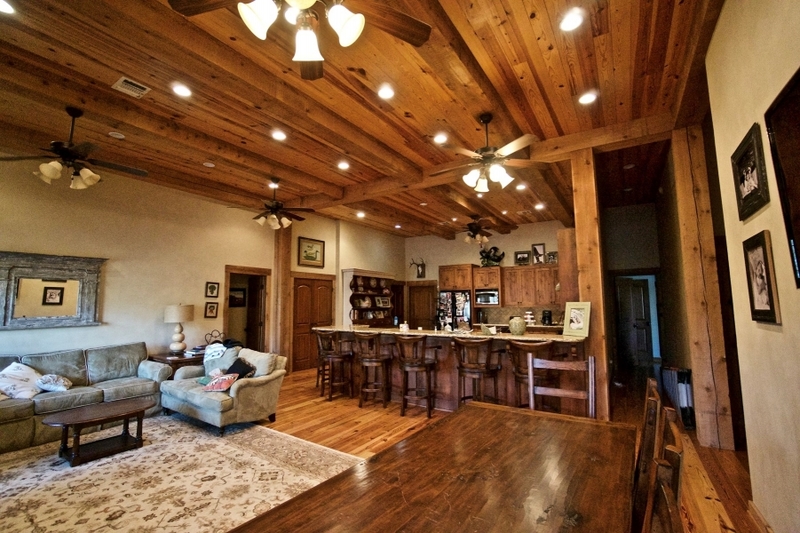 with ample room on the side for tools and even an area for entertaining. 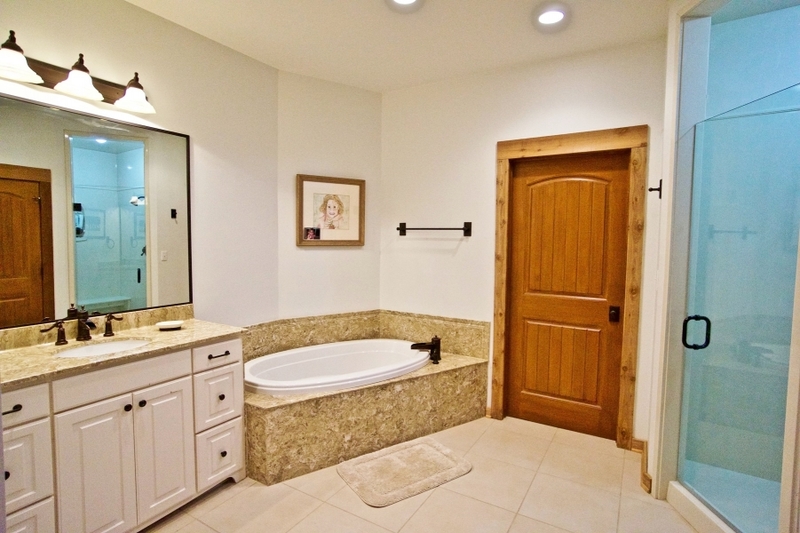 A staircase leads to additional storage above the heated portion. Almost the entire perimeter of the barn has been rocked for plenty of parking and the storing of implements and trailers etc. 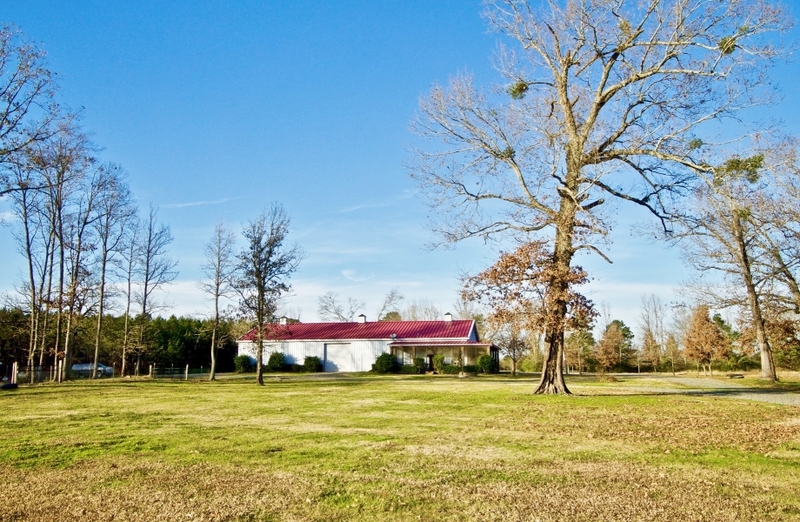 There is also a mobile home in the NW corner of the property that would be perfect for a caretaker or a lease tenant for monthly income. 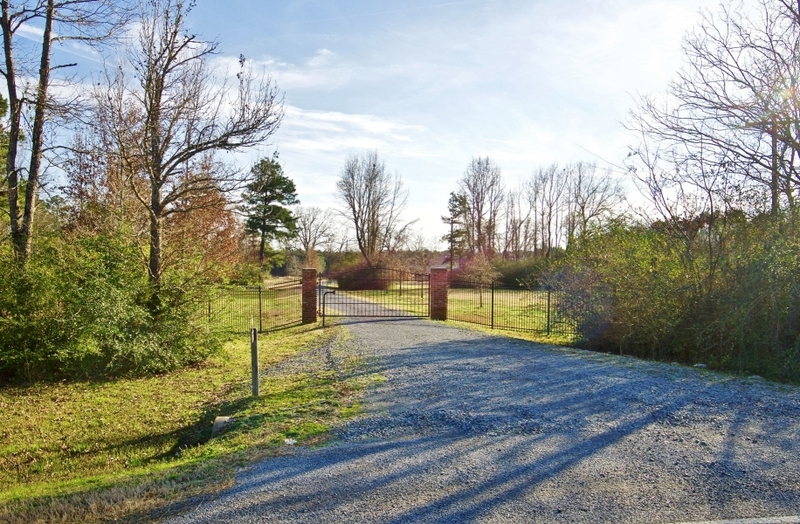 The additional home has its own gated entrance out to the highway.